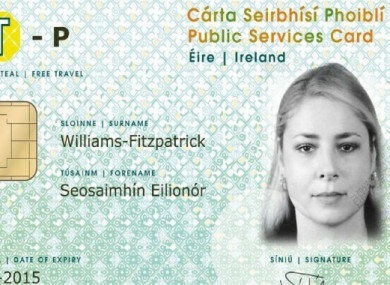 Poll: Do you think the PSC should be linked to social media accounts? The government has maintained that the card is not a national ID card, but a means to access social welfare services. SHOULD PUBLIC SERVICES Cards (PSCs) be linked to social media accounts in order to verify people’s online identities? On RTÉ’s Claire Byrne Live show last night, Fine Gael’s Jim Daly, who’s a Minister of State with responsibility for Mental Health, said that he hoped this would prevent adults using fake identities to target children online. When asked about data protection concerns around the implementation of the card, Daly said that “child protection trumps data protection”. So do you agree with him? Do you think PSCs should be linked to social media accounts? Email “Poll: Do you think the PSC should be linked to social media accounts?”. Feedback on “Poll: Do you think the PSC should be linked to social media accounts?”.